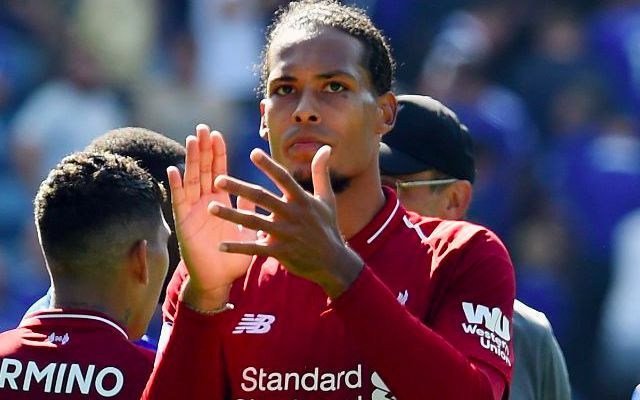 Jurgen Klopp has eased concerns over the injury that Virgil van Dijk sustained in Liverpool’s 3-0 win over Southampton. All affiliated with the club held their breathe on 55 minutes when the Dutchman left the field in some discomfort after suffering a blow to an already-bruised rib. The centre-back has seemingly been playing with the problem for a number of weeks amid his outstanding start to the new season. It now looks even less likely that Van Dijk will be risked in Wednesday’s League Cup clash with Chelsea at Anfield, with a string of key league and European games awaiting the Reds in October. A spell on the sidelines, no matter what the length, would mark an untimely thorn in what has been a commanding start to the new campaign for the former Saint. It’s for his monumental influence in Klopp’s side that likely fuelled his manager’s decision to withdraw him without a second thought in a game that had already been won. To see Joe Gomez enter the frame and impose an instant authority was welcomed reassurance, and the latest reminder of the sparkling form he finds himself in. The 21-year-old barely put a foot wrong after joining the action, delivering a stern reminder that a starting spot at centre-back is his to lose. Meanwhile, it was an unforeseen but valuable opportunity for Joel Matip to enjoy some playing time beside both Van Dijk and Gomez as he strives to rediscover his top form. It could be that Klopp retains the pairing that finished the game on Saturday when he sets his team out against Chelsea in mid-week.